Is Your Home Climate Change Ready? Right now, your house is probably standard for the four seasons. Heating for the winter and air conditioning for the summer. But what about when the summers get warmer? And when the winters have more rain? Small things will help just inside your home. Like just wearing a sweater or keeping windows open and fans on. Those are all personal changes. They won’t help the houses around you or the people around you. In the case of a heatwave right now you can do the following if you haven’t. Use things to keep your windows open but locked and safe so you can open them at night, install ceiling fans and find shady places to hangout outside of your house like a deck and garden spaces. For a flood you should always keep track of what’s coming your way so you can prepare yourself and your house. Seal all the openings in your house like under doors and through bricks. Go to the hardware store and make sure you have door guards and toilet stoppers. For cold spells you need to have insulation in your house and heating. 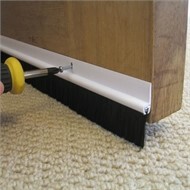 Fit draft excluders for the bottom of doors and windows. Make sure you have heating and extra blankets and fire wood if you have a fire place. Be prepared for a power outage. If you live in an area that may already be subject to extreme weather then you may want to make sure you have all those things in the season they happen and always be ready for the next one. The weather may happen more often. So, if you got one flood a year than be ready for a couple a year. get all your electronics off the ground and keep beds and such in a frame where water won’t be touching the bed. Get flood insurance! You have no idea how much damage these storms can cause. For heatwaves you’ll want to make sure you have a lot of fans, and air conditioning. If you live near forests a fire may be in your concerns. Watch that and have a bag that is ready to go if you need to leave. Have blinds to block out sun and keep the inside of your house cool. If climate keeps rising like it is right now our homes will need to be heavily prepared. Heat waves look like they’ll be the most common of what’s happen along with more extreme heather. For heatwaves it you can’t do much more than fans and air conditioning, you can always plant more trees for shade and paint the walls outside your house white. The white will reflect heat because white reflects heat and black absorbs it. So, if you’re thinking of painting your house go light. For floods or heavy rainfall check with your city and always know where the closest shelters are. Remember your personal safety is always more important than your homes. For flooding there’s not much you can do for your home. 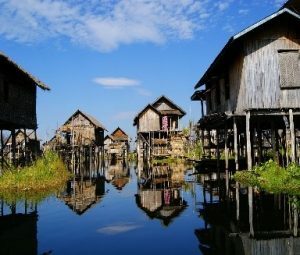 You can always have your house up on stilts but it’s not a very easy solution. More you can do for yourself. Along with cold spells not much you can do. Try to be in an area where you’re close to other houses not in the middle of nowhere. Maybe in the future there will be more houses with all this built in. or it will be a procedure to get your house ready. Who knows, right now all we can do is try to reverse these effects so we don’t have to worry. How climate-ready is your house?